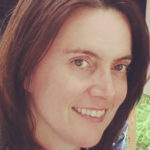 Gaining familiarity with the legal-citation practices used to document legal works may be impractical for student writers and sometimes even for scholars working in nonlegal fields. Nonspecialists can use MLA style to cite legal sources in one of two ways: strict adherence to the MLA format template or a hybrid method incorporating the standard legal citation into the works-cited-list entry. In either case, titles of legal works should be standardized in your prose and list of works cited according to the guidelines below. 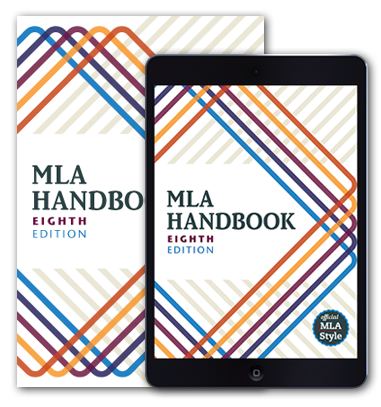 Students and scholars working outside the legal profession and using MLA style should follow the MLA format template to cite laws, public documents, court cases, and other related material. Familiarize yourself with the guidelines in the MLA Handbook, section 2.1.3, for corporate authors and government authors. United States Code. Legal Information Institute, Cornell U Law School, www.law.cornell.edu/uscode/text. United States, Supreme Court. Brown v. Board of Education. 17 May 1954. Legal Information Institute, Cornell U Law School, www.law.cornell.edu/supremecourt/text/347/483. United States, Supreme Court. Brown v. Board of Education. United States Reports, vol. 347, 17 May 1954, pp. 483-97. Library of Congress, loc.heinonline.org/loc/Page?handle=hein.usreports/usrep347&id=557&collection=journals&index=usreportsloc#557. Ginsburg, Ruth Bader. Dissenting opinion. Lily Ledbetter v. Goodyear Tire and Rubber Co. United States Reports, vol. 550, 29 May 2007, pp. 643-61. Supreme Court of the United States, www.supremecourt.gov/opinions/boundvolumes.aspx. Title 17. United States Code, U.S. Government Publishing Office, 2011, www.gpo.gov/fdsys/pkg/USCODE-2011-title17/html/USCODE-2011-title17.htm. United States Code. Title 17, U.S. Government Publishing Office, 2011, www.gpo.gov/fdsys/pkg/USCODE-2011-title17/html/USCODE-2011-title17.htm. United States, Congress. Public Law 111-122. United States Statutes at Large, vol. 123, 2009, pp. 3480-82. U.S. Government Publishing Office, www.gpo.gov/fdsys/pkg/STATUTE-123/pdf/STATUTE-123.pdf. United States, Court of Appeals for the Second Circuit. Moss v. Colvin. Docket no. 15-2272, 9 Jan. 2017. United States Court of Appeals for the Second Circuit, www.ca2.uscourts.gov /decisions.html. PDF download. United States, Congress, House, Committee on Education and Labor. The Future of Learning: How Technology Is Transforming Public Schools. United States Government Publishing Office, 16 June 2009, www.gpo.gov/fdsys/pkg/CHRG-111hhrg50208/html/CHRG-111hhrg50208.htm. Text transcription of hearing. United States, Executive Office of the President [Barack Obama]. Executive order 13717: Establishing a Federal Earthquake Risk Management Standard. 2 Feb. 2016. Federal Register, vol. 81, no. 24, 5 Feb. 2016, pp. 6405-10, www.gpo.gov/fdsys/pkg/FR-2016-02-05/pdf/2016-02475.pdf. The Constitution of the United States: A Transcription. National Archives, United States National Archives and Records Administration, 28 Feb. 2017, www.archives.gov/founding-docs/constitution-transcript#toc-article-iv-. France. Le constitution. 4 Oct. 1958. Legifrance, www.legifrance.gouv.fr/Droit-francais/Constitution/Constitution-du-4-octobre-1958. United States, Senate. Beijing Treaty on Audiovisual Performances. Congress.gov, www.congress.gov/114/cdoc/tdoc8/CDOC-114tdoc8.pdf. Treaty between the United States and the People’s Republic of China. Swiss Confederation. Bundesverfassung der Schweizerischen Eidgenossenschaft. 18 Apr. 1999. Der Bundesrat, 1 Jan. 2016, www.admin.ch/opc/de/classified-compilation/19995395/index.html. United Nations, General Assembly. Universal Declaration of Human Rights. Resolution 217 A, 10 Dec. 1948. United Nations, www.un.org/en/universal-declaration-human-rights/. PDF download. A writer using MLA style to document a legal work for a specialized readership that is likely to be familiar with the conventions of legal documentation may wish to adopt a hybrid method: in place of the author and title elements on the MLA format template, identify the work by using the Bluebook citation. Then, follow the MLA format template to list publication information for the version of the source you consulted. Brown v. Board of Education. 347 U.S. 483. Legal Information Institute, Cornell U Law School, www.law.cornell.edu/supremecourt/text/347/483. My eleventh-grade English students write research papers about Supreme Court cases. In the MLA 7th edition (5.7.14) there was a note about italicizing case titles in the text but not in the list of works cited or in parenthetical references. Has this changed for the 8th edition? Also, you’ve given examples about formatting SCOTUS rulings, but most of the resources my students use are articles about the cases from news sources, specialty encyclopedias, etc. Should case titles be italicized when they appear within article titles? Thanks! You are correct to note this change. To make legal works a bit easier to cite, we now recommend that writers italicize the names of court cases both in the text and the list of works cited. When the name of a court case is contained within another work, style the title just as you would anywhere else. Thus, a SCOTUS ruling in the title of a news article would appear in italics. Thanks for reading; I hope this helps! How would I cite the 2015 National Content Report? It contains information similar to that of a census. There is an example here: https://style.mla.org/citing-tables/. One of my students wants to use the Versailles Treaty (officially, “Treaty of Peace with Germany”). The Library of Congress has a pdf copy posted. Should he list the treaty in his sources with the URL, or, since is just a copy of the official treaty, just list title, date, and “multilateral treaty”? how would I cite Supreme Court case from Justia? Can you give an example for citing the Occupational Outlook Handbook, published by the U.S. Bureau of Labor Statistics? How do I cite a pending case that is still at the trial court level, including citation to the briefs that have been filed by the various parties? How would one cite a Title (specifically Title VII) from the Civil Rights Act of 1964? How you cite it will depend on where you access it. Some points: following the MLA format template, your entry will start with the title of the law. This will either be Civil Rights Act or Title 7 (see the discussion of Federal Statutes above for considerations about which title to begin your entry with). Your in-text citation (whether in prose or parentheses) should direct the reader to the first element in your works-cited list (in other words, the title). How do my students properly list the Supreme Court cases that are linked on the Exploring Constitutional Law site by Doug LInder at UMKC Law School site? I need help. My 8th grade history class is answering questions on the US Constitution and citing their answer. There are five rights in the First Amendment, which include freedom of religion, freedom of speech, freedom of the press, the right to peaceably assemble, and the right to petition the government for a redress of their grievances (U.S. Constitution). Is this in-text citation done correctly? Also, are the amendments spell out or does one use the Roman numeral in text? If U.S. Constitution is the first element in the works-cited-list entry, the in-text citation is correct. Spell out ordinal numbers (First Amendment), but use numerals for numbers of count (Amendment V) and, by convention, use Roman numerals for divisions of legal works that use them.